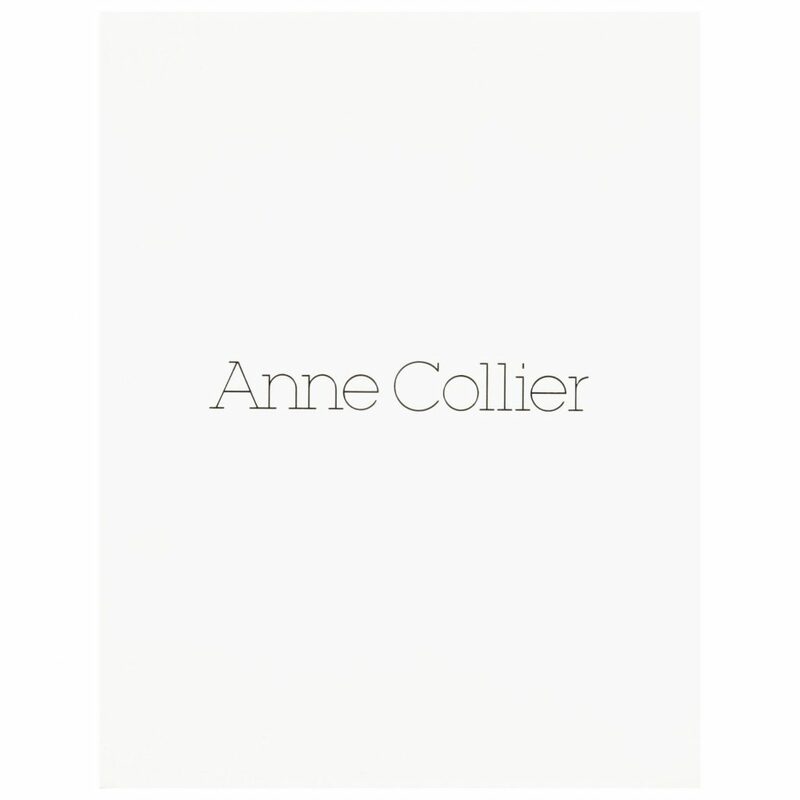 Over the past decade Anne Collier has forged a rigorous body of works that engage in a unique dialogue with contemporary photography. Collier produces tight, sparely formalized compositions often using a technique of re-photography. 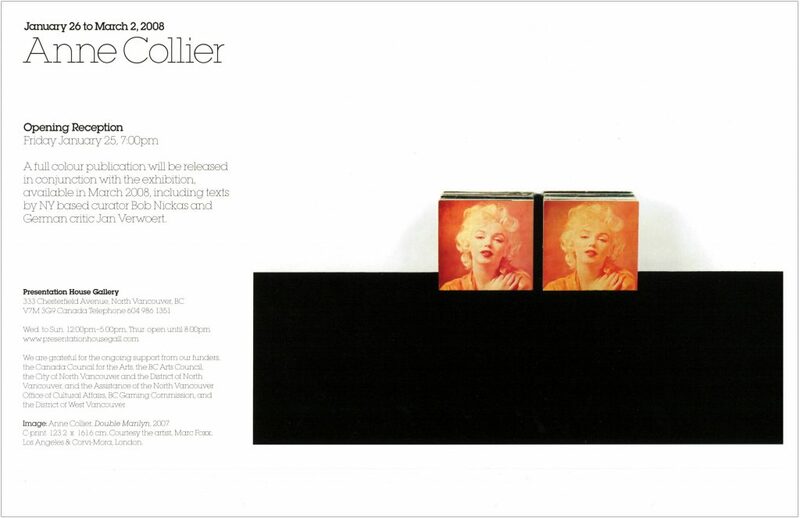 Using an approach that can be compared to artists like John Baldessari, Sherry Levine and Louise Lawler, Collier’s work addresses questions of biography and self-portraiture. Her interest in mass market and pop culture imagery from the 1970s is expressed in carefully staged found photographs, and she has used diverse sources ranging from advertisements and posters, to art magazines and 70s vinyl LP covers. Her biting, dryly humorous compositions–some subtly self-reflexive–frame recurrent tensions of power and gender. In Woman With a Camera (2006), for example, Collier photographs and reframes a pair of promotional posters for the 1978 movie thriller Eyes of Laura Mars starring Faye Dunaway. Dunaway is seen looking through and over a camera, a cipher for the photographer artist, but also posed from within the film narrative inhabiting the viewpoint of the story’s antagonist. Here, Collier proposes questions that are fundamental to contemporary photography while foregrounding a renewed currency to debates about subjectivity and representation. 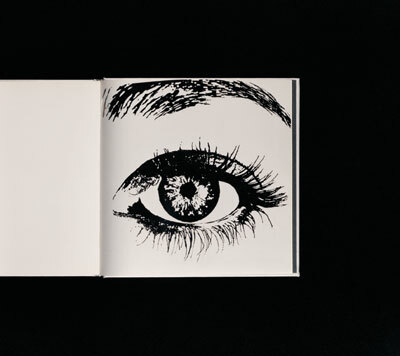 Anne Collier, Eye (Hot Foil Stamping), 2007 C-Print. 127 x 141.732 cm Courtesy the artist, Marc Foxx, Los Angeles, Corvi-Mora, London & Anton Kern Gallery, New York. Catalogue includes a list of works, biography, and bibliography, with essays by Bob Nickas and Jan Verwoert.